Handmade Detroit | Merry Market this Weekend! 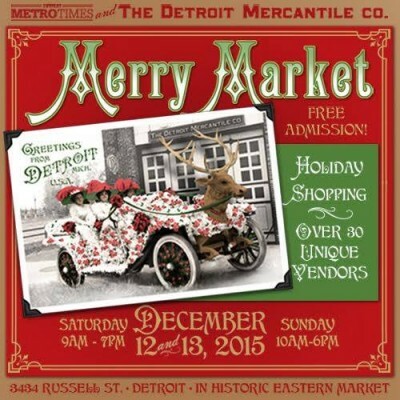 If you’ve still got a lot of gifts to get, the Merry Market in Detroit this weekend may be the perfect place to check off that list! Presented by Metrotimes and The Detroit Mercantile Co., this show is free to get in and is in the back of the Mercantile in Eastern Market. There will be over 30 small businesses, crafters & artists there – some of our favorites are Oh So Antsy, Slow Jams Jam, and Mutual Adoration. This show has been a favorite of mine of the years to shop, plus add in an afternoon shopping at Eastern Market also, to make it a day. Merry Market is Saturday, Dec. 12th 9-7, and Sunday Dec. 13th 10-6. Read more more about it on their Facebook event page! 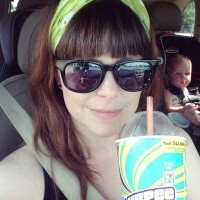 Pingback: Handmade Detroit | Hey, Let’s Go Shopping!